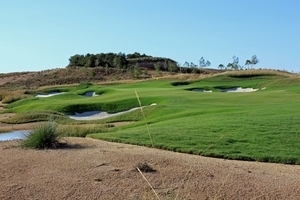 Located on the prestigious golf and sports resort of Condado de Alhama are these brand new 3 bedroom 2 bathroom villas close to the spectacular town centre and Signature Golf Course, offering spacious, modern living with great investment potential and only 30 minutes from the new airport of Murcia. 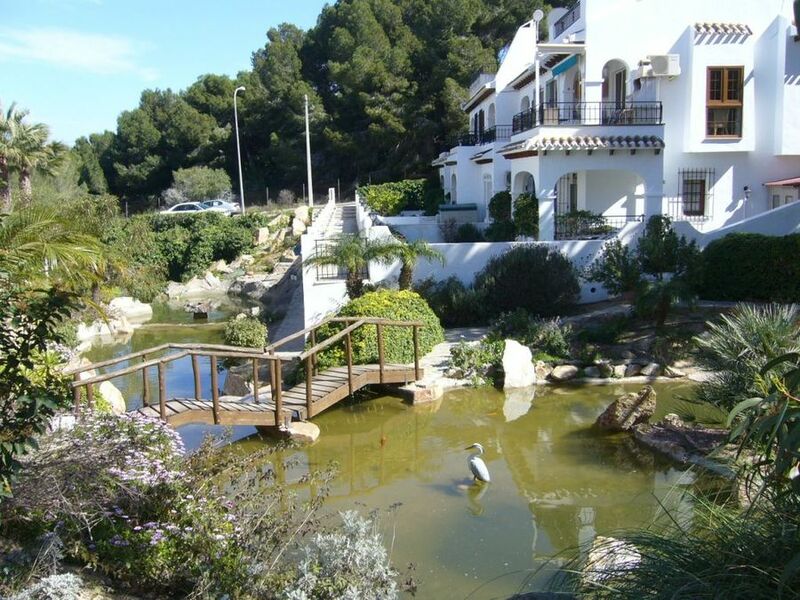 Offering 102m2 of living accommodation with modern kitchens and bathrooms these properties also boast a 102m2 solarium as well giving additional outside space. 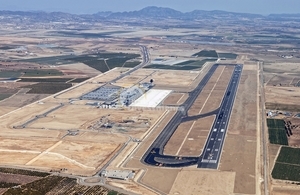 There are options for a 7 × 3 metre pòol and allocated parking to the front. 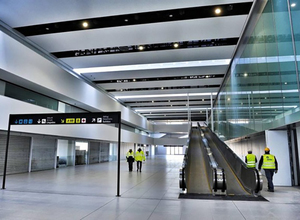 A superb option for clients and investors. Condado de Alhama was the planned jewel in the crown for the Polaris World golf resort group in Murcia. 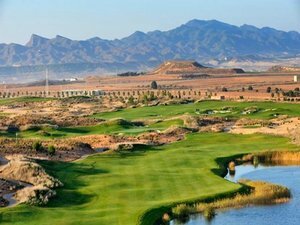 Condado de Alhama is now a fully established golf resort, with a busy community all year round. Designed with superb gardens, a growing commercial centre, over 20 swimming pools, several sports areas and one of Spain’s most challenging golf courses, a Jack Nicklaus signature golf course, Condado has become one of the region’s most popular holiday destinations recently. 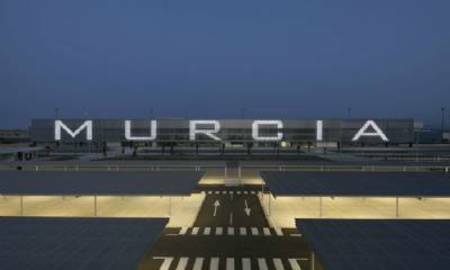 Located very close to the New Corvera Airport it has the benefit of great pricing with investment upside from day 1. 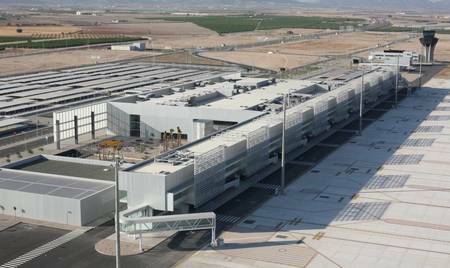 Condado de Alhama is popular, well-maintained and clean, very little traffic, no noise pollution and a 24/7 fully integrated security concept with patrolling security, and vehicle and ID control at the access gates. 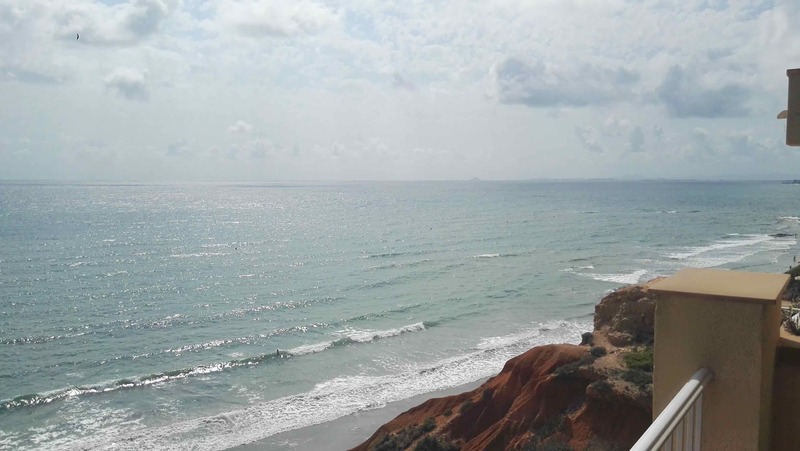 Condado de Alhama is a great place for enjoyment the whole year round with average temperatures that very rarely drop below 18 degrees Celsius and average summer temperatures of over 30 degrees with more than 320 days of sunshine a year. These villas will be sold quickly at these pre launch prices. 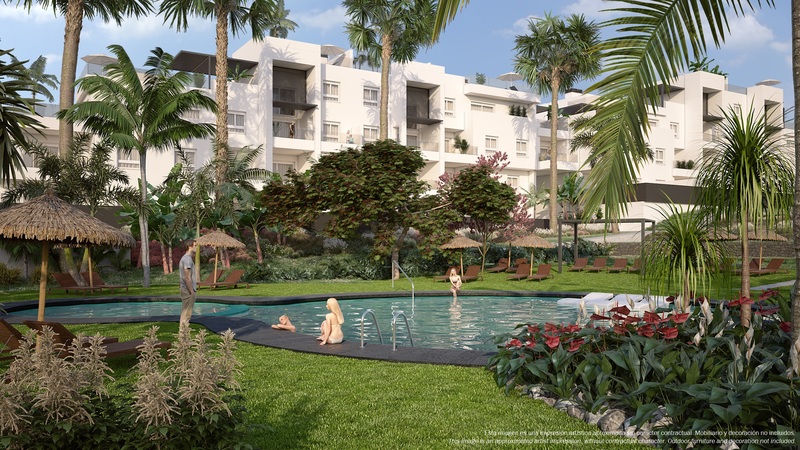 Located on the prestigious golf and sports resort of Condado de Alhama are these brand new 2 bedroom 2 bathroom villas close to the spectacular town centre and Signature Golf Course, offering spacious, modern living with great investment potential and only 30 minutes from the new airport of Murcia. 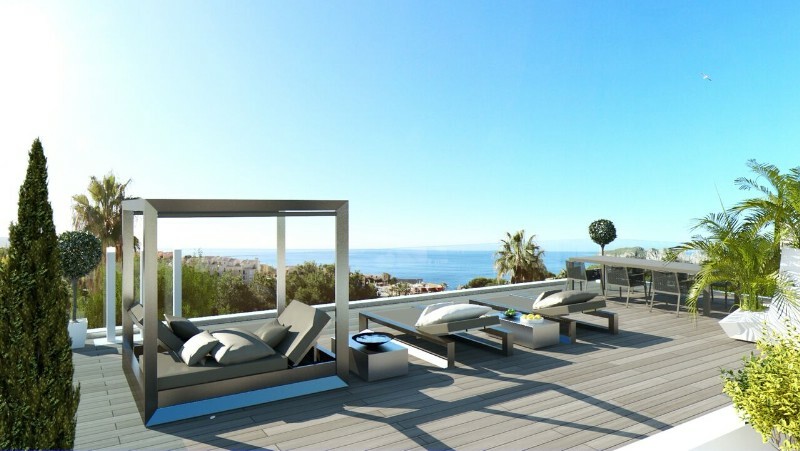 Offering 77m2 of living accommodation with modern kitchens and bathrooms these properties also boast a 77m2 solarium as well giving additional outside space. There are options for a 7 x 3 metre pòol and allocated parking to the front. A superb option for clients and investors. 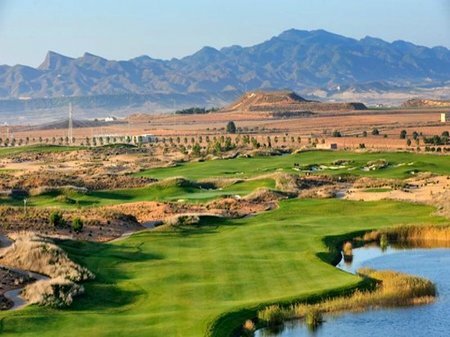 Condado de Alhama was the planned jewel in the crown for the Polaris World golf resort group in Murcia. Condado de Alhama is now a fully established golf resort, with a busy community all year round. Designed with superb gardens, a growing commercial centre, over 20 swimming pools, several sports areas and one of Spain’s most challenging golf courses, a Jack Nicklaus signature golf course, Condado has become one of the region’s most popular holiday destinations recently. Located very close to the New Corvera Airport it has the benefit of great pricing with investment upside from day 1. Condado de Alhama is popular, well-maintained and clean, very little traffic, no noise pollution and a 24/7 fully integrated security concept with patrolling security, and vehicle and ID control at the access gates. 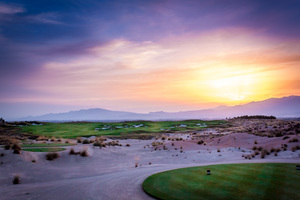 Condado de Alhama is a great place for enjoyment the whole year round with average temperatures that very rarely drop below 18 degrees Celsius and average summer temperatures of over 30 degrees with more than 320 days of sunshine a year. These villas will be sold quickly at these pre launch prices.